CORAL GABLES, Fla. -- A disgruntled ex-gym employee shot two of his former coworkers before killing himself near an upscale shopping mall in South Florida, CBS Miami reports. 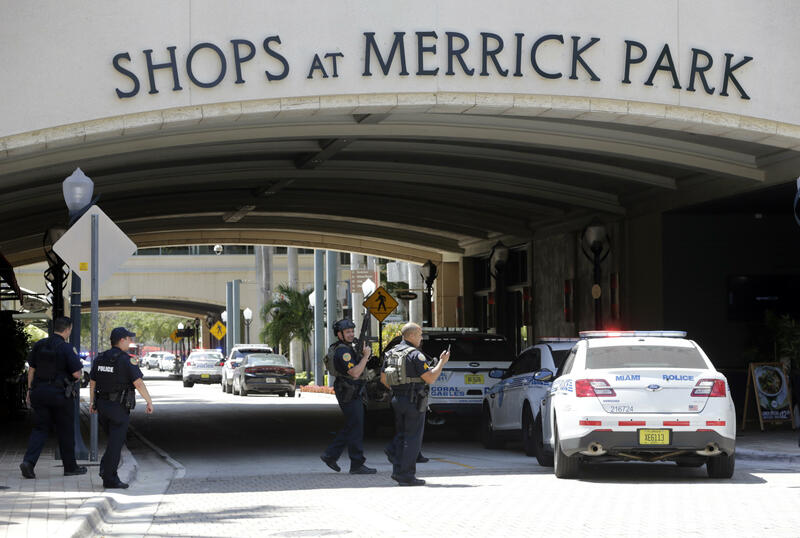 Authorities secured the Shops at Merrick Park on Saturday after a lone gunman opened fire inside Equinox Fitness Club. The gym’s general manager, Janine Ackerman, 35, and trainer Mario Hortis, were two people wounded in the shooting. They were airlifted to a nearby hospital for treatment. Ackerman later died, the Coral Gables police chief confirmed. Police said the shooting was a result of an argument between a disgruntled ex-employee and the gym’s manager. After shooting two former co-workers, police said, the suspect turned the gun on himself. Abeku Wilson, 33, a bodybuilding enthusiast and former Equinox employee, is believed to be the gunman. Coral Gables police rushed to the scene, shutting down traffic outside the shopping mall and placing nearby businesses on lockdown. More than a dozen police cars were stationed outside the mall as shoppers ran to safety and recorded video. The Miami Herald reports that nearly 100 people were eating at Yard House’s outdoor patio when the shooting began. General manager Tim Hartog said patrons ran inside and hid under tables while others rushed out the back door before police placed the restaurant on lockdown. About an hour after the shooting, a few people wearing workout attire stood outside the gym. One person said she was waiting to see if she would be allowed back inside to retrieve her belongings. The mall is usually bustling on a Saturday afternoon. There was no immediate word on when mall activities would return to normal. Equinox said in a statement that is was working with authorities. “Our thoughts and prayers are with the families impacted by this terrible tragedy. Out of respect for them and our entire Equinox family, we will refrain from commenting further until it is appropriate to do so,” the statement said.